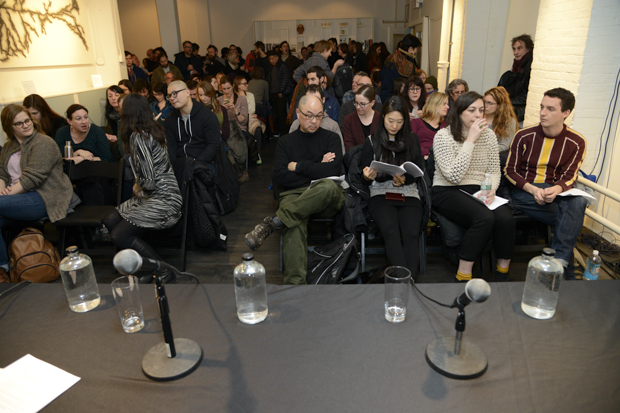 Following an ongoing public dialogue about the affordable space crisis within the creative community in New York as well as among our own community of artists, Skowhegan invites you to join us for a town hall discussion on March 27th. Panelists will navigate the realities of the cost of living creatively, the role of commercial real estate, and the activism entailed therein. Increased visibility for the issue has spawned a series of talks from various organizations, however a dedicated center has yet to be established. Our hope for this conversation is to identify current problems, desired solutions, and paths from the former to the latter. Four people with diverse interests and expertise in art, studio space, urban planning, and gentrification will launch a town-hall discussion led by Paddy Johnson. a professor of Urban Affairs and Planning at Hunter College. He has completed numerous studies about New York City community based plans and land trusts, as well as advised the documentary My Brooklyn about the gentrification of Atlantic Yards. an artist who lives and works in Queens. 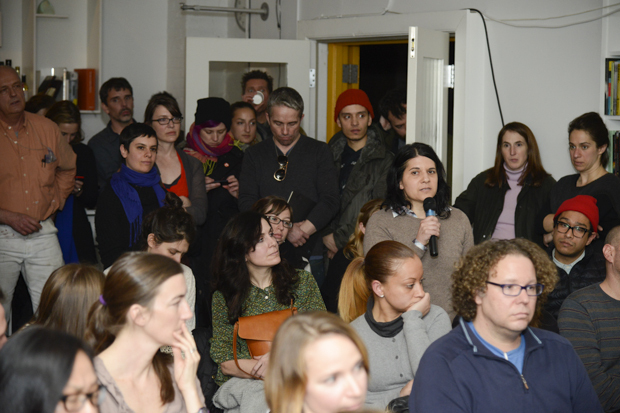 Together with Tamara Zahaykevich, she formed Artists Studio Affordability Project (A.S.A.P. ), an organization that raises awareness about rapidly raising rent prices. 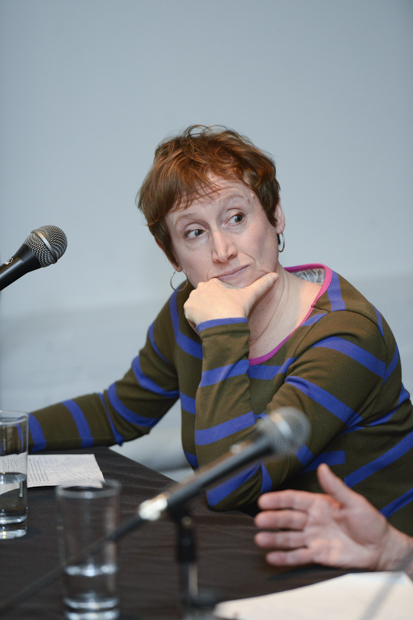 the founding editor of Art F. City and an op-ed columnist for Artnet. 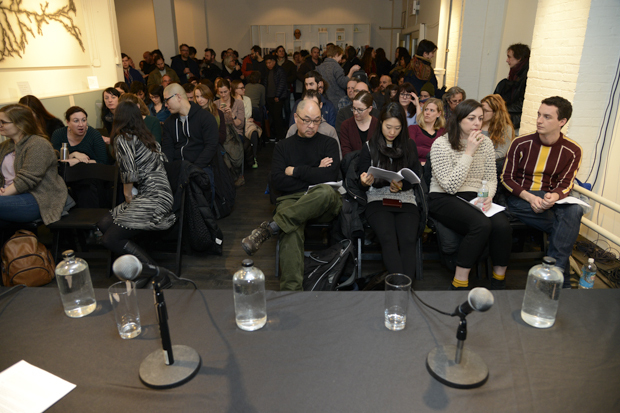 In addition to providing the first coverage of the Industry City controversy, she has spoken about related topics at venues including Yale, Parsons, South by Southwest and the Whitney. She is a founding member of Placeholder, a collective seeking to preserve work space for artists through the purchase of buildings in the New York City area. an artist with a background in real estate who is an active member of Placeholder (formerly known as Stay in Bushwick), a collective seeking to establish stable and affordable work space for artists through non-profit building owning models. He has been featured on Big Red Shiny and spoken at Eyebeam for Arts & Labor Alternative Economies Group. is the current Deputy Brooklyn Borough President and former city council representative for the 34th district including Williamsburg, Bushwick and Ridgewood. She has been active in enforcing stricter zoning laws to maintain manufacturing/industrial economies and other legislation toward the goal of sustainable and affordable communities. Very special thanks to ASAP (Artist Studio Affordability Project) and Art F. City for their invaluable support in organizing this panel. Additional thanks to Cabinet for hosting.